“Among the natural rights of the Colonists are these: First, a right to life; Secondly, to liberty; Thirdly, to property; together with the right to support and defend them in the best manner they can.” Samuel Adams (No, not the beer, the patriot that helped found this country). So, the fundamental principles of our society and culture provide for us to be able to defend our right to life, liberty and property. And built into the legal structure of each state are laws and statutes that define when we, as citizens can use force; even deadly force if necessary. However, those laws are also based on what a “reasonable person” may do in a confrontational situation. And those same laws are written with ambiguous language such that a prosecutor can second guess your actions. We know we are allowed, as free men to be able to protect and defend; so let’s look at the progression and escalation of defense and “force”. We are not going to espouse legal advice; nor are we going to present options on how to address a situation. We do want to make you think. Think about awareness. Think about your situation. Think about how you’d respond. Initially, we want to avoid a potential situation in which a confrontation may develop; but if we find ourselves in such a situation; probably ninety percent of the time we are going to be able to do one of two things to evade any use of force. If we find that we are in a situation which could develop, or has developed into a confrontation; consider de-escalating or retreating from the situation. 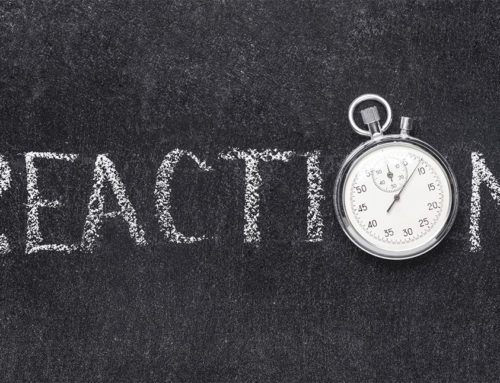 Both are non-force responses to a confrontation; and we want to attempt these actions if we have the ability. There are numerous stories about a guy’s ego getting out of control in a situation as he feels he must defend honor and then gets the snot beat out of him; or worse. There is no shame in ignoring a comment or gesture and walking away. However, if as you’re walking away, your antagonist decides he must make an example of you; use of force is needed to end the threat. But, and this is important, how much force can you use to end the threat? Your personal safety and security is at risk; how much force is necessary to neutralize the threat? Reasonable force is the force necessary to stop the threat, but not “exceed” the threat. 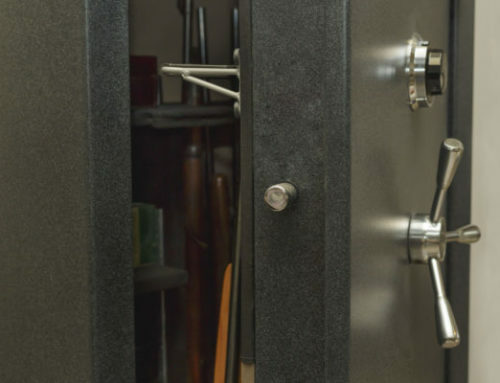 Given any situation where you are at risk of harm, you are not going to stop and determine the legal aspect of balancing your force against the threat. But you need to maintain a situational awareness regarding the threat and be prepared to escalate or de-escalate your force as necessary given the situation. And NO; we will not provide examples, as every situation is different and it will be your responsibility to protect yourself and your loved ones as you deem necessary given that situation. But we should consider and discuss “Reasonable” and “Deadly” force. The amount of force necessary to protect oneself or one’s property. Reasonable force is a term associated with defending one’s person or property from a violent attack, theft, or other type of unlawful aggression. It may be used as a defense in a criminal trial or to defend oneself in a suit alleging tortious conduct. If one uses excessive force, or more than the force necessary for such protection, he or she may be considered to have forfeited the right to defense. Reasonable force is also known as legal force. One might consider that reasonable force would be matching the tool of the attacker. You might still get the snot beat out of you, or worse, if you are not as skilled as the attacker with that tool. It’s not tool versus tool. It’s what you have to do to survive! Deadly force is generally thought of as escalating beyond “Reasonable Force” and includes the penetration of a weapon, or projectile into someone and of course the killing of someone. Our safety and security, and the safety and security of our families will depend on you presenting force as necessary when needed; but you don’t want to find your livelihood and liberties lost for not being responsible in your use of force. Our safety is our responsibility. The ability to defend ourselves is our right. Knowing how is our challenge; and knowhow not only includes defensive fighting and weapons use, but an understanding of the laws that frame our rights. 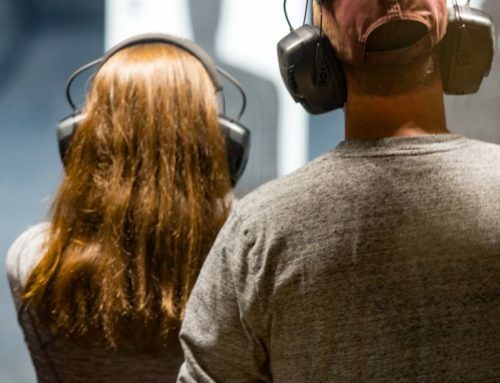 Learn more about training programs to help you understand how best to protect yourself and your family here at Saddle River Range. Club memberships can be found here.